Eastern Boarder Natick: KNOW THE LEDGE CONTEST THIS SUNDAY! KNOW THE LEDGE CONTEST THIS SUNDAY! The KNOW THE LEDGE CONTEST is this SUNDAY! Special Guest : Jefferson Pang and maybe others. This contest is free to enter but space is limited. There is already a list of who's who in New England who are planning on coming including Jay and Justin Clement, Serge Murphy, John Coyne, Brad Miller, Matt Fennel, Pat Donfro, Pete Moulton, Dave Begonis, Kevin Leslie, Pat Hickey just to name a few. If you want to enter and haven't yet signed up there will be limited space available the day of the contest, please arrive early if you would like to sign up. The contest will be on the bench(ledge) only. The skaters will be split into small groups of 4 or 5. Each group will skate in a 4-5 minute jam. After all the groups have skated finalists will be chosen and the finalist will compete in one final 8-10 minute Jam from which the winners will be determined. Whether you plan on entering or not, please come by to watch some of the best skateboarders in New England push skateboarding forward. 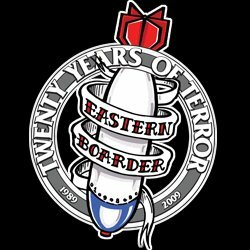 Know The Ledge Ad from Eastern Boarder on Vimeo. Forget about Swine Flu. It's Cinco de Mayo! !